The Call of the Colosseum has summoned you to fight against some of the most fearsome gladiators around on the biggest stage in Ancient Rome. This 5-reel online slot is only cut out for the bravest. So, if your one of those players with very little fear and have nothing but solid determination to conquer and take no prisoners this action-fueled battlefield awaits you. 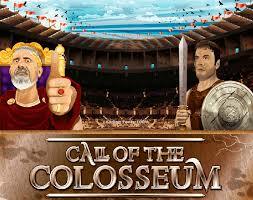 Play online slots now to win some free spins and etch your name into ancient history. NextGen Gaming pride themselves on maintaining the balance between gaming innovation and the ‘proven fundamentals’ to create fun online slot games. With a philosophy of ‘Attract,’ ‘Entertain,’ ‘Retain,’ this developer strives to create an environment that players would want to return to again and again. Founded in 1999, NextGen was one of the pioneers of platform-specific gaming, creating a community of inspiring work, and gaming innovation. Recently joining hands with Poker Stars New Jersey, USA. Classic games like Doctor Love and Mad Mad Monkey are some of the more well-known titles from NextGen – with hopefully more to come in the future! 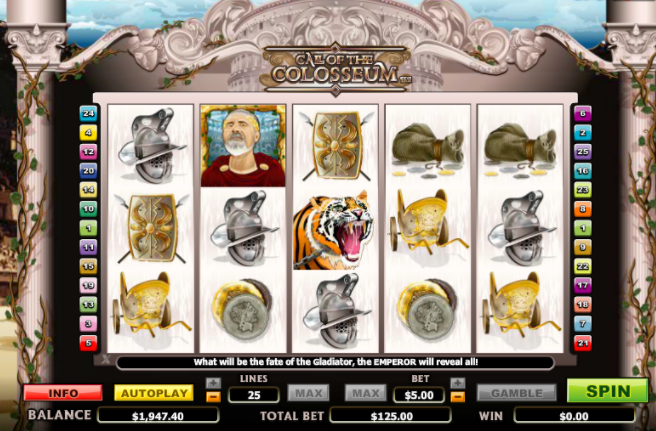 With an aesthetic obviously meant to mirror the Ancient Romans, Call of the Colosseum presents a slot game in which you are a gladiator in the great Colosseum – with the emperor deciding your fate. NextGen Gaming has created a simple, highly detailed slot that is highly accessible for all the low rollers among us. With a minimum bet of only a penny, you are not discouraged to play it safe for a while. However, with a max bet all the way up to £50, it is possible to win big on this good-looking easy slot. The art style itself is surprisingly detailed, including an incredibly ornate background, with vines crawling up a very stereotypical looking Roman pillar. Beyond this, you can see the Colosseum itself, creating a feeling of grandeur for the player as they spin. This is certainly not a theme to be done in half measures! The symbols themselves reflect this theme – with detailed grapes, armour, and chariots – as well as stylised characters to fit with the aesthetic the game is attempting to replicate. With a satisfying spin sound, as well as the cheer of onlookers when you win, it is possible to really get into the atmosphere of the slot. Join today and learn how to pay by mobile slots. With 25 pay lines and a standard 5 reel slot, it is unlikely that this will offer anything completely unusual for the player. The pay table can be easily accessed from a separate options menu, which highlights the value of all of the different symbols – it is useful, however, to be aware of them before you start. With the ornate Shield Scatter, you are awarded ten free spins, as well as the doubling of all prizes, if you get three or more on the reel. At this point, even the emperor himself gets involved; at the end of every spin when you are in this state, he will either give you a thumbs up or a thumbs down; a thumbs up will give you between 1 and 3 extra free spins. On this note, you can even gamble your last win by picking the correct card colour or suit, if you’re feeling brave; this will either double or even quadruple your prize! play slots and claim your free spins today! Although the game is presented in a good way, it’s not very satisfying to spin the slot itself. For the low rollers, it is still worth playing, however. 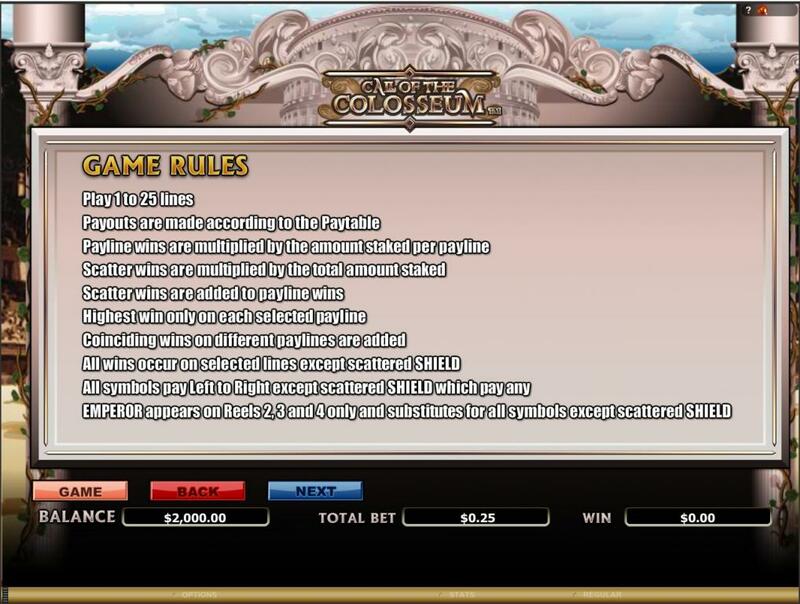 Even if you’re playing with just one pay line, you still have the same chance to get free spins as the high rollers. Definitely worth checking out! Now find out more.